Rosario, Argentina. 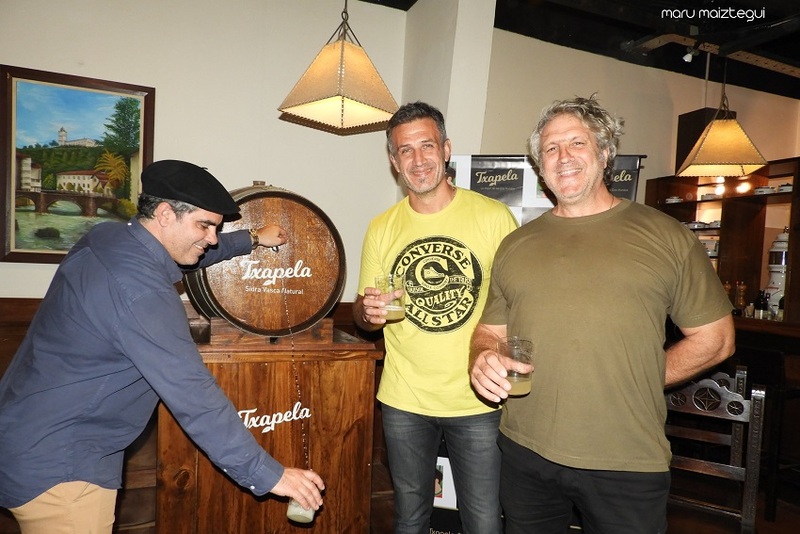 The Zazpirak Bat Restaurant in Rosario was the site of the presentation of “Txapela,” the new natural Basque cider made by apples from Patagonia. The tasting was provided straight from the barrels or kupelak, like at cider houses in the Basque Country during the Txotx season. The presentation was made by Xabier Aguirre, one of the heads of the project, who used a video to explain the origins of the product. Upcoming presentations will take place in Cañuelas and Buenos Aires: In Cañuelas, on April 6-7 during the Dantzari Gathering, and in Buenos Aires on April 17th at the Amalur Restaurant and on the 25th at the Esquina del Antigourmet. Sagardi, will also be presented on a date TBD. More photos of the presentation, here.